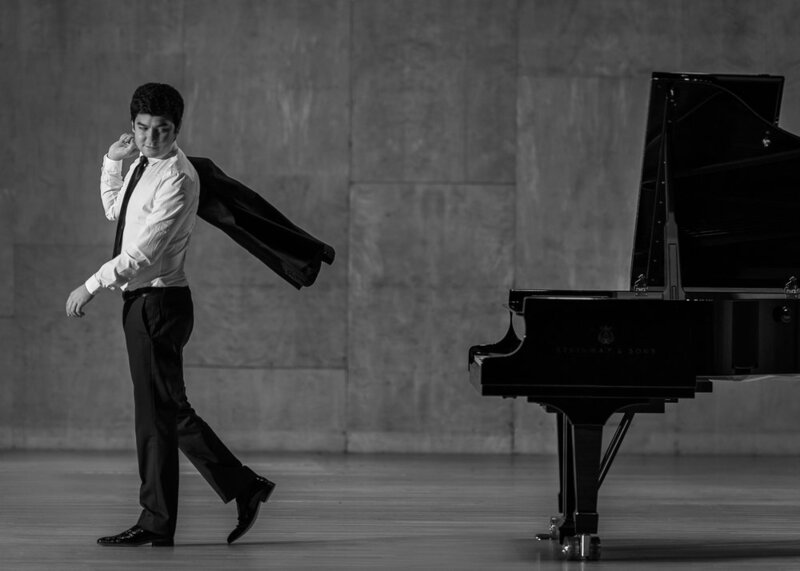 Cliburn Gold Medalist Stanislav Ioudenitch teams up with Behzod Abduraimov with Arensky's Suite for Two Pianos, No. 1, Op. 15 on SUN / JAN 27. But don't let that stop you from attending Saturday's performance, too, where Behzod delivers Prokofiev's 10 Pieces from Romeo and Juliet, Op. 75. Have you heard this work? It's really worth a listen. Hear Evgeny Kissin perform excerpts here to get a taste of it. As an organization that celebrates and revels in the lush sound of the piano, here are two pianists that need no introduction. It’s a special treat and a perfect way to end the year. Enjoy the inimitable Martha Argerich and Daniel Barenboim perform Mozart’s Sonata for Two Pianos, K. 448. Happy Holidays from all of us here at Portland Piano! Wishing you a beautiful new year filled with gorgeous piano music. 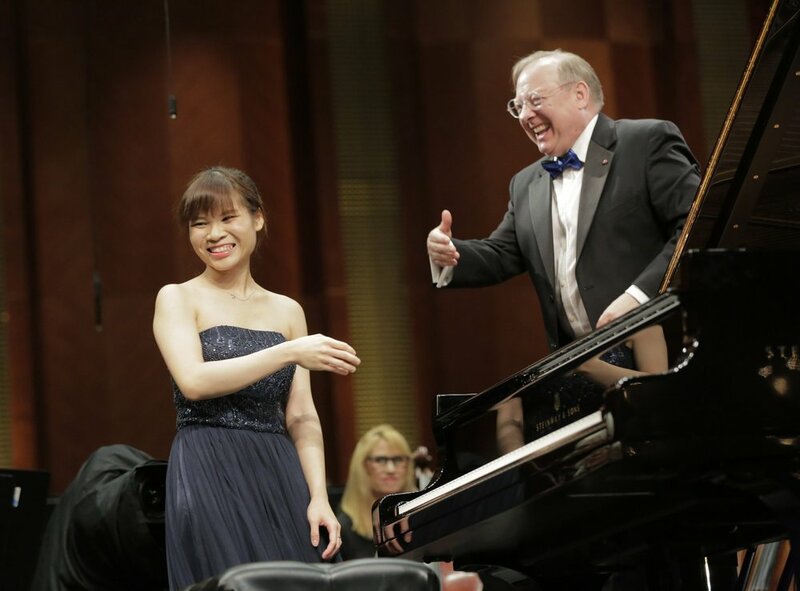 “Every four years Portland Piano International takes a group of piano lovers to Fort Worth for the Van Cliburn International Piano Competition. 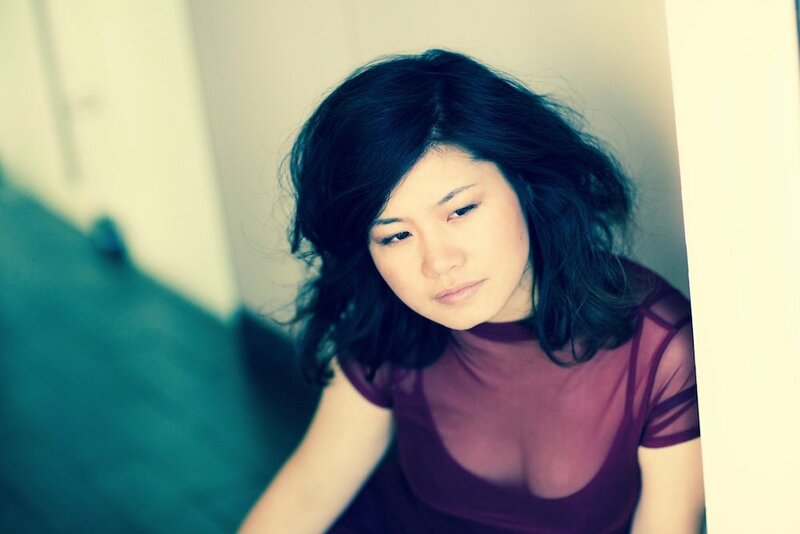 One of the highlights of our last ‘pilgrimage’ to the semi-finals in 2017 was experiencing Rachel Cheung’s amazing performances. It was no surprise, therefore, when she received the Audience Award that year. Rachel possesses a special ability to draw the audience into her playing.” Her performances were truly remarkable and completely mesmerizing; the audience loved her. Out of the five piano concertos written by Prokofiev, the third is highly cherished by piano fans. We want to highlight Behzod Abduraimov’s recording of this monumental work in the piano literature. Recorded on the Decca label, Behzod’s performance showcases his ability to make the piano sparkle with fiery sound. Celebrated Uzbek pianist Behzod Abduraimov makes his Portland debut with Cliburn gold medalist Stanislav Ioudenitch. At only 28 years old, Behzod has had two consecutive years of back-to-back BBC Proms performances with his debut under Maestro Gergiev and the Münchner Philharmoniker. On November 10 and 11, we had the pleasure of welcoming Boris Giltburg to the Lincoln Hall stage for a program of Ravel and Beethoven, as well as Russian composers Shostakovich, Prokofiev and Rachmaninov. Boris was in the news recently, receiving a prestigious Gramophone Classical Music Award this past fall; he won in the Chamber music category for his recording with the Pavel Haas Quartet of Dvorak’s Piano Quintet No 2. Everyone was pretty excited to hear him during his PDX debut, and there was a noticeable positive energy in the air as the audience filtered into the hall. We’ve discussed Boris Giltburg for a few months now on the blog and this weekend he’s finally in Portland to perform back-to-back SOLO recitals with glorious music (NOV 10 / 11). This week, he posted an excerpt on Facebook of Ravel’s Le Tombeau de Couperin (Menuet), which he’ll perform on Saturday’s program (NOV 10). First, read his own insight, then listen to his highly-nuanced interpretation. 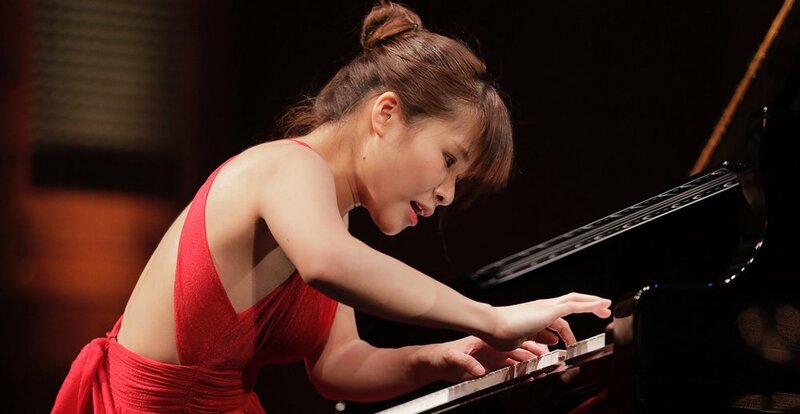 Portland Piano International is proud to welcome Hong Kongese pianist Rachel Cheung — Winner of the Audience Award and Finalist at the 15th Van Cliburn International Piano Competition — to Portland for recitals on December 1 & 2, 2018. Both performances will take place at 4pm in Portland State University’s Lincoln Hall. We’ve brought you many artist recordings and insights on our SOLO blog, but we haven’t highlighted art photography. Our upcoming SOLO artist, Boris Giltburg (NOV 10 / 11), has quite the eye for visual beauty in addition to his full-time career as a celebrated Rachmaninov interpreter and recent Gramophone Award-winner. Portland Piano International is thrilled to announce that renowned Canadian pianist and composer Marc-André Hamelin will curate Portland Piano International’s 2019 / 2020 SOLO season. Executive Director Ellen Bergstone Wasil and Board Chair Maryellen McCulloch originally met with Mr. Hamelin while at the Cliburn Competition in 2017 and could not be happier to welcome him on board as the next Guest Curator.